We are so lucky here at Tailored Media to be able to work with inspirational clients every day. We have worked with Carol at The Shoe Garden for over 10 years, and she never ceases to amaze us. With the support of her amazing clients, Carol has donated a massive $12,288.65 to Microloan Foundation, Australia!!! 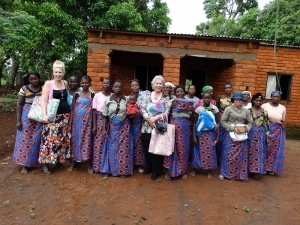 After travelling and living in Africa, Carol saw first-hand how hard many women struggle and when she learnt that Microloan Foundation Australia exclusively gives not just loans, but business advice and support, to poor women in Mulanje, in southern Malawi, she was so impressed, she had to find out more. We could not be more proud of Carol and her never-ending drive to help other people.